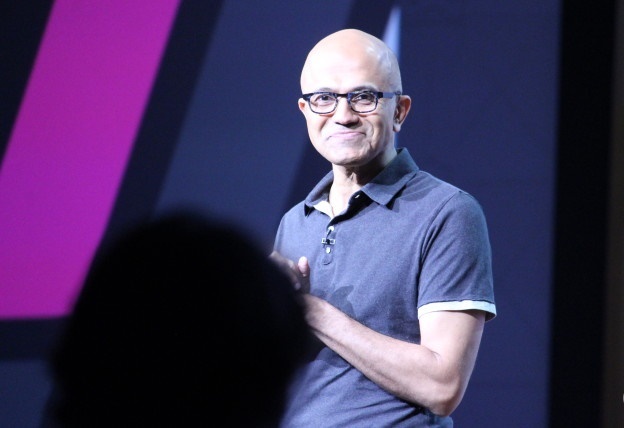 Speaking on stage at BUILD, Satya Nadella reaffirmed Microsoft’s commitment to protecting people’s privacy online, and also to protecting democracy and civil society. He said that privacy is a human right and Microsoft has created an environment that when it collects data it is for the benefit of the user and ensuring that users have control over their data and its use. Discussing the new European Union regulation, GDPR, Nadella called it “sound” and that the firm will have measures in place to comply with the law by the end of the month. In order to become compliant, Microsoft has hundreds of engineers working to build a suitable infrastructure, and the firm wants to help partners become compliant as well. Nadella went on to discuss the CLOUD Act, a law that was enacted this year in the U.S. with the goal of modernising data privacy and governmental surveillance laws to reflect industry cloud computing practices. He said both GPDR and the ﻿CLOUD Act are good starting points but that he would like to see the whole world create an intergovernmental framework for ensuring people’s privacy. To wrap up the segment, Nadella also mentioned that Microsoft led a consortium of over 30 tech firms in order to protect people around the world from cyber attacks. The firms involved with the consortium signed the Cybersecurity Tech Accord which he compared to the digital Geneva Convention. He also said that Microsoft has worked with organisations and civil society in order to strengthen democracy, a trend popular among tech companies at the moment.